Herve Leger's models marched down the runway in signature body-con dresses. The dresses were in a neutral palette of beige, brown, black and white but adorned with gold hardware, silver chain, and leather harnesses. The fall designs prove their beauty is relentless, using new techniques and finishings. As well as some different cut outs on the dresses, which really has given the pieces the change that they needed. 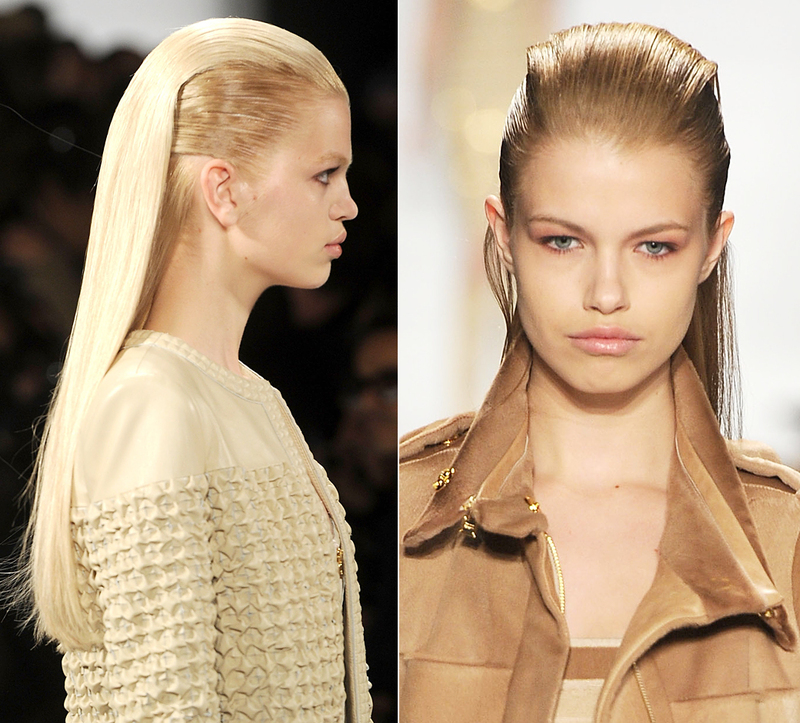 Everything had a very rockabilly feeling, even the details like the hair; the sides are slicked back with combed-in gel and pinned together in the back, the front-middle section is teased and brushed, so it flowed down on the back of the head. Adding to that, zippers were a key detail and lined the back of nearly every dress. It wasn’t all short dresses however: we see also a fur trench, a bomber jacket, and loose cropped pants. This time their was also room for the more sophisticated Leger fan. To view more pieces of herve leger's collections in the past and stay up to date, you can always follow my blog! All data and information provided, is for informational purposes only. Any views or opinions represented in this blog are personal. I never represent pictures on this site as my own, unless they are personally taken by me. All the sources I use are noted in my posts. If not, please contact me as soon as possible. Stylecoaching by Laura. Mogelijk gemaakt door Blogger.